The E947E is designed with spacious comfort and social get-togethers in mind. 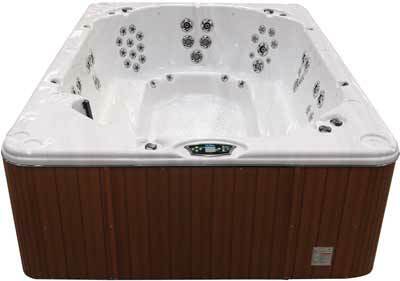 This 8-foot spa provides generous bench seating for up to eight adults – perfect for hot tub parties! Liven up the evenings with conversation and togetherness as friends and family submerge in a huge whirling pool of bubbles. Two high performance pumps provide penetrating massage streams through 47 jets. 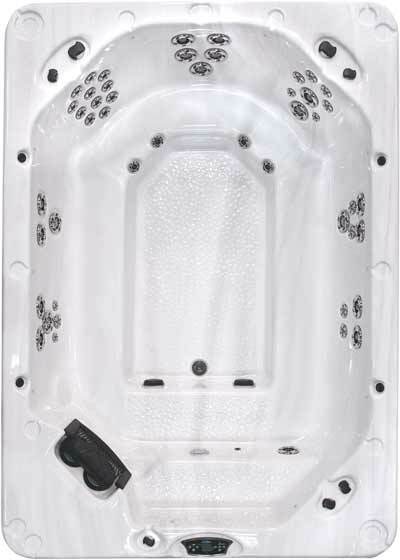 Incorporating several unique jet designs, the E947E delivers the ultimate hydrotherapy experience for the entire family! Dimensions:93" x 131 ½" x 39½"